A pretty token of your esteem. 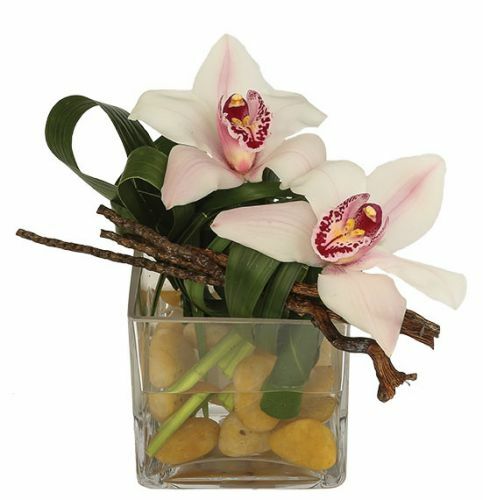 Two choice blooms of cymbidium orchid in a zen-like arrangement. The Deluxe options will be in a larger cube vase with more orchids.